I’m getting spoiled by all these 3-day weekends lately, not a bad thing at all! But I need it after this work week, lots going on with projects and things picking up again after the holidays. I managed to weasel out of overtime this weekend when another guy in our group expressed interest in the hours. 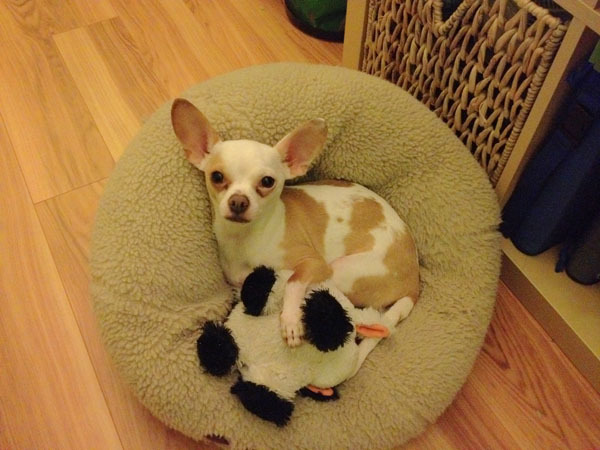 I wasn’t interested in having a relaxing, long weekend interrupted by having to head into the office for a few hours, I would much rather relax at home with this cute little office buddy. 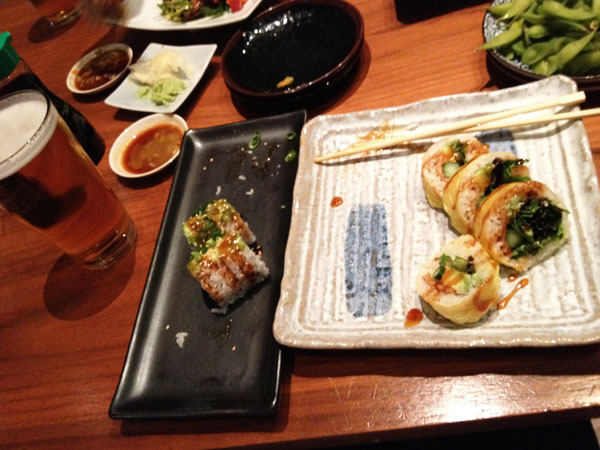 We ended the week by heading out for sushi and Japanese beer last night at Mikuni’s, much needed! Mikuni’s actually has a good selection of vegan rolls, not just plain cucumber and avocado rolls that so many other places have. I started with The Rabbit roll packed with greens, asparagus, and avocado with a soy wrap changing up the flavor and texture compared to nori. Then moved on to the Veggie Ten roll which is more decadent layered with sauce, tempura, sesame seeds, and avocado. And very good. 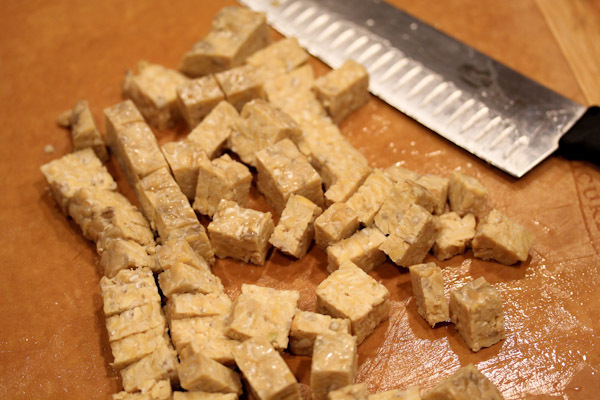 But I did get in more kitchen time this week experimenting with more raw tempeh. 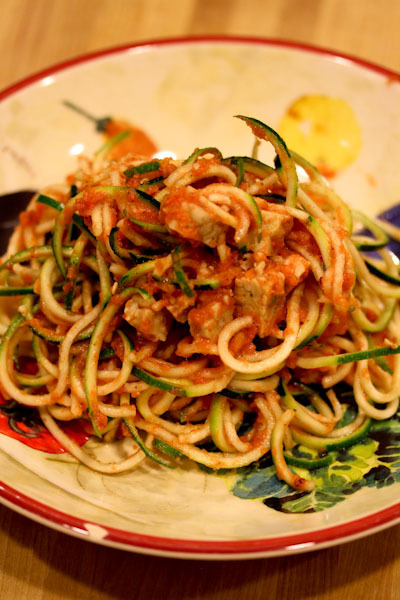 This time I just chopped it into chunks to serve with raw marinara sauce and zucchini noodles. Still love breaking out my spiral slicer, it was one of the first kitchen tools I got when starting raw recipes almost 3 years ago. It came together in 15 minutes with no cooking involved. But I did put the plate in the dehydrator for 15 minutes to take the cold edge off while waiting for hubby to finish cooking his dinner. 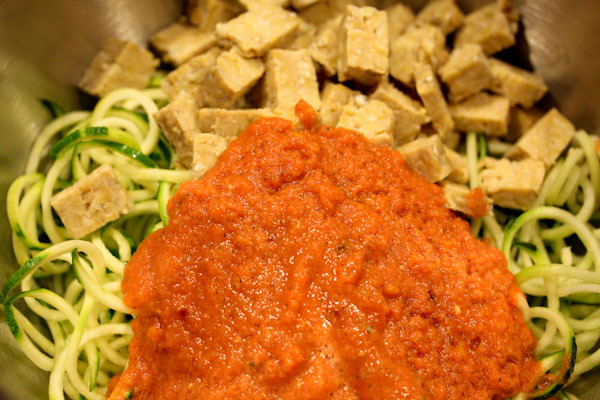 Raw tempeh made a great addition to the classic raw marinara dish with giving it a huge nutrient and protein boast and making it more filling. The leftovers made a great lunch the next day also. 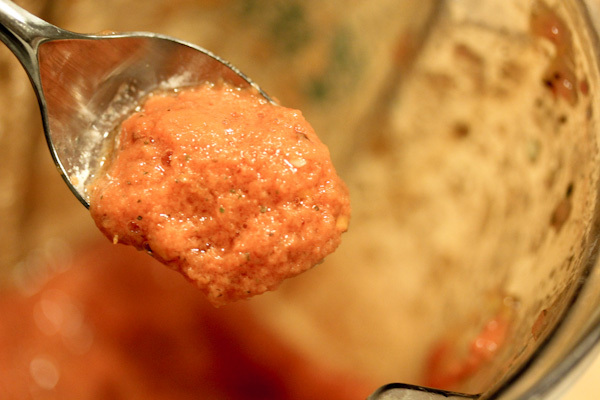 Actually it might have been a little better after the tempeh chunks marinated in the marinara sauce overnight. wow that sushi looked great. different but still sounded wonderful! It was much better than the usual vegan sushi I’ve seen. I hate it when the seafood stuff it loaded with sauces and toppings and the only vegan options are plain cucumber rolls, so boring. 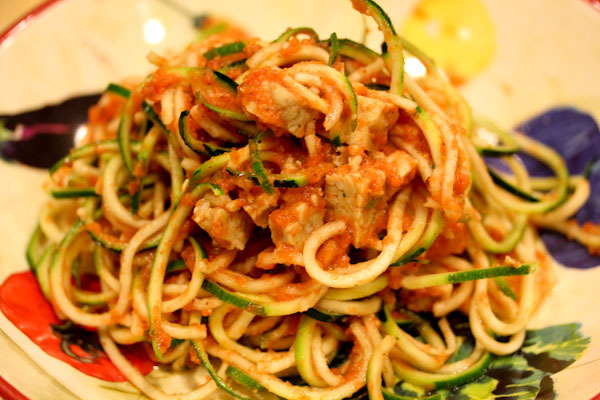 That sauce and zuke pasta looks perfect! It was one of my first raw tools about 3 years ago, too. Havent used it much lately but ought to. 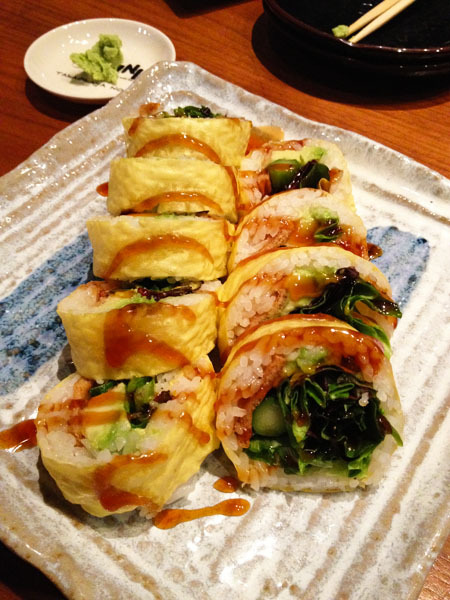 And the rabbit roll…when I saw that on Instagram I was like…I want that, now! The tempeh was great with the sauce and it added a nice texture compared to nut “meat” balls.